The Trump administration’s “zero tolerance” immigration policy has set off a humanitarian crisis along the U.S./Mexico border, leaving 2,400 children unjustly separated from their parents. In response to criticism from across the political spectrum, the administration has moved toward the indefinite detention of families. This “solution” is not only immoral, it is also illegal under U.S. and international law. LUPE (a community union founded by Cesar Chavez), the Texas Civil Rights Project (a pro-bono law firm serving the movement for equality and justice), and Neta (a bilingual multimedia platform based in the Rio Grande Valley). Joined by Robert F. Kennedy Human Rights, these organizations will protest the administration’s harm to the the immigrant community of the Rio Grande Valley through hunger strike and prayer chain in McAllen, Texas. Protestors, including elected officials, influencers, and the Kennedy family, will fast for 24 hours, for 24 days, in honor of the 2,400 children separated from their parents. JOIN THEM: FAST IN SOLIDARITY AND DONATE WHAT YOU WOULD SPEND ON FOOD TODAY. 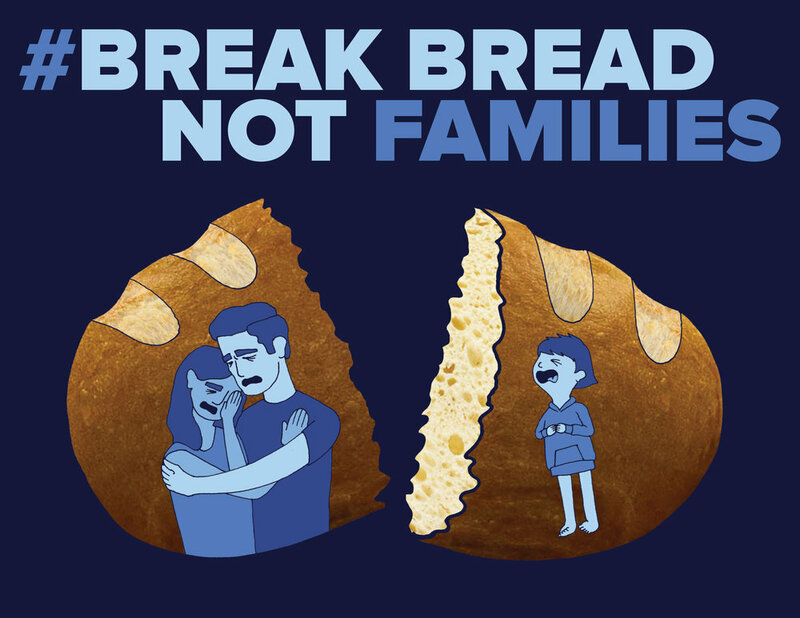 LET'S BREAK BREAD, NOT FAMILIES. 100% of proceeds will go to LUPE, Neta, and the Texas Civil Rights Project.